Trattoria Luigi serves two of Italy’s most famous culinary delights, pizza and pasta including a range of meat and fish dishes. Inside you will find cosy dining dressed in red, green and white napery illuminated by flickering candle lights and characterful wall pictures that add a sense of history and old world charm to the room. 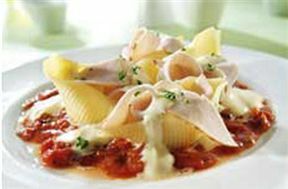 Enjoy dining al-fresco or linger in the cosy dining rooms while flavouring the wafer thin slices of beef topped with mushrooms, parmesan shavings and rocket, dressed with olive oil, lemon sauce and black pepper for starters followed by angel hair pasta with smoked salmon, tomato, chopped onion a hint of chilli finished with a touch of cream. Round off your meal with a velvety warm mousse served with savoiardi biscuits and delectable vintage wine. 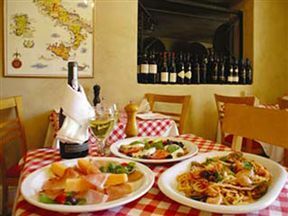 Trattoria Luigi’s laid-back ambience is a well-known destination for tourists and celebrities alike who enjoy the traditional fare and bustling vibe of Naples. 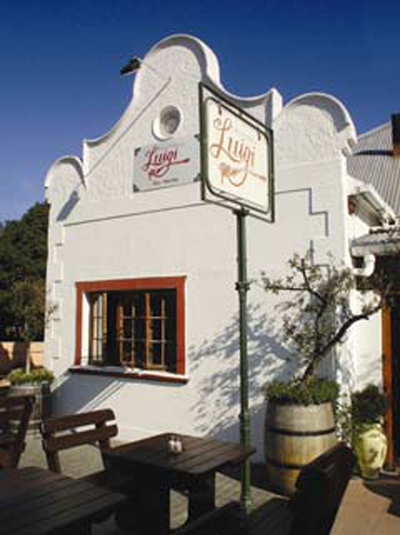 Trattoria Luigi is 0.4km from the centre of Hout Bay , the nearest airport 27.7km (Cape Town International Airport).